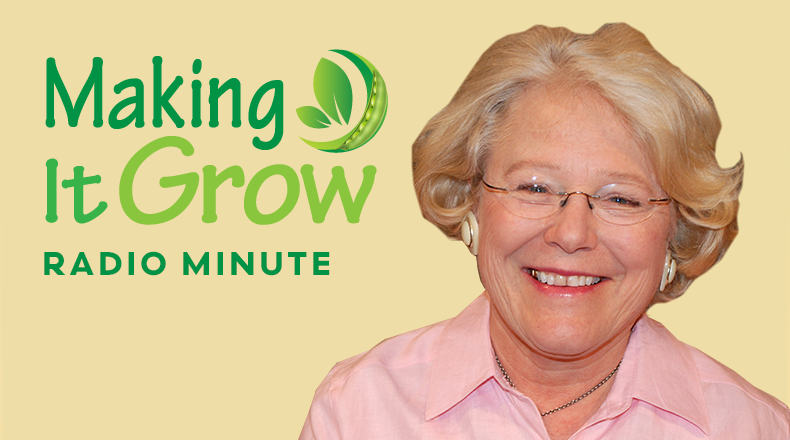 Hello Gardeners, I'm Amanda McNulty with Clemson Extension and Making It Grow. Some yuccas deservedly have the name Spanish Bayonet or dagger because of the sharp points at the ends of their leaves. But we have two native yuccas that are much less threatening and still have beautiful blossoms. Both Yucca filamentosa and Yucca flaccida are smaller and have somewhat softer foliage than their big relatives, and flowering stalks that top out at five feet. The leaves have threads, filaments, along the leaf margins, like fabric unraveling. Yucca filamentosa has gotten into the hands of plant breeders and there are named cultivars with yellow stripes or yellow margins, beautiful even when not in flower. Several of these planted together would make a stunning display in a sunny, well-drained part of your yard and once established you could enjoy them for years without dragging the hose over to water them during hot dry weather.